Make sure your family stays energized all day long with a fresh start at our complimentary, hot breakfast. 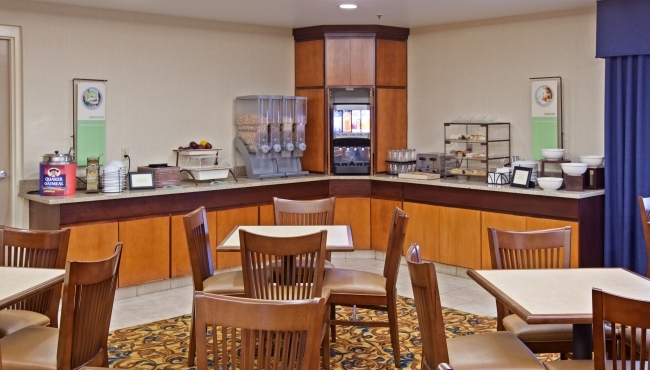 The Country Inn & Suites in Port Clinton proudly offers an array of options like waffles, eggs, yogurts and muffins. Feel free to prepare a cup of coffee for the road, or grab a piece of fruit to enjoy on the go. When you're ready for lunch or dinner, try one of several nearby restaurants like Casa Las Palmas, within walking distance, and Waldo Pepper’s Bar & Grill, less than a mile and a half away.